Replacement parts for these products. 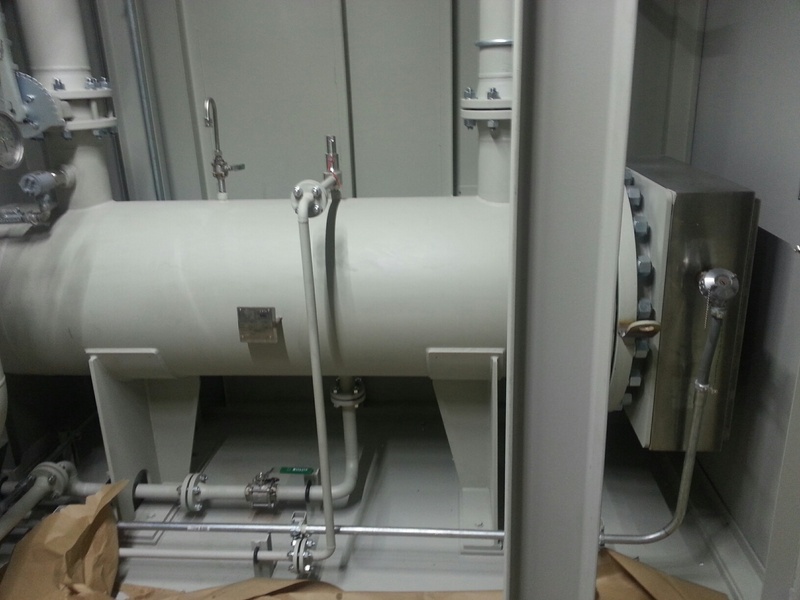 A global skid-process system manufacturer that works in the power gen, oil & gas, nuclear, and industrial sectors was challenged to design skid-mounted processing equipment for a major energy company. 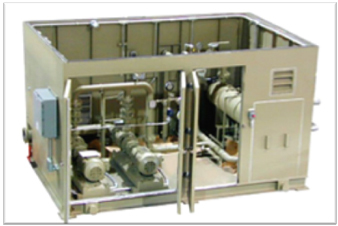 The energy company needed a modular system that would increase the efficiency of their turbines for a series of oil & gas applications. The modular system needed to heat and circulate lubrication oil used to lubricate the turbines. The quality of the heater was of utmost importance, as maintaining the oil at a precise temperature in the holding reservoir is paramount in ensuring the system consistently ran effectively. The customer needed a solution that perfectly balanced durability, ease of maintenance, and customization to specs. 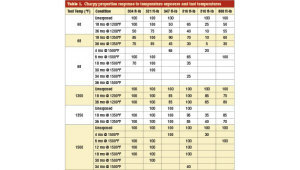 Heatrex’s reputation for quality has earned it a place on many preferred supplier lists, including being a GE approved Supplier. In addition to producing premium quality products, Heatrex was awarded the contract to manufacture 16 immersion heaters due to its competitive price and short lead times. 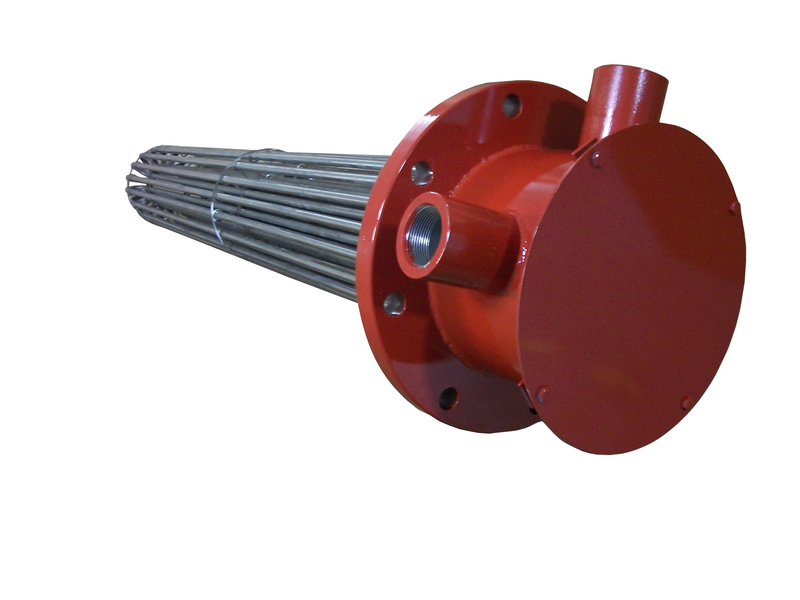 The Heatrex engineering team designed a flanged immersion heater that was ready to “plug in” to the modular system upon arrival, not only making installation smoother, but guaranteeing ease of maintenance. Heatrex’s customized immersion heaters enabled the process system manufacturer to successfully deliver the optimal skid mounted process system for its customer. 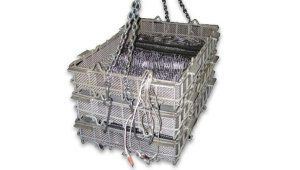 The skid manufacturing company was so impressed with these immersion heaters, they recognized Heatrex, in an ISO audit (International Organization for Standardization), as a supplier with unprecedented customer focus that consistently meets the sourcing requirements on quality and price, upholds the highest standards of delivery quality, and demonstrates the highest levels of flexibility and responsiveness. Heatrex played an integral role in delivering the necessary quality, and continues to work closely with the manufacturer to exceed the energy company’s high expectations. It can be frustrating to hear a reference to something and not understand what they are talking about.For this reason we want to explain what Delta T is in relation to the heating industry. While no one expects you to remember the Greek alphabet in its entirety, unless you were educated in Greece of course, the fourth letter of the Greek alphabet, delta, is used so widely in Western scientific circles that it has become somewhat recognizable. The real problem with the letter, denoted by a small triangular character, is that most people don’t even realize they are using it. Known and widely used by mathematicians, engineers, physicists and all manner of other scientists as it is used to denote the change in any statically defined system. 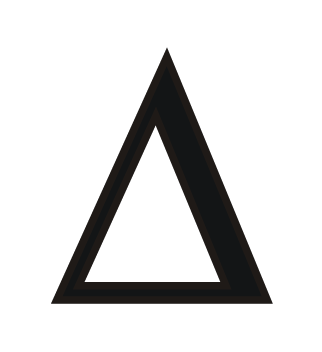 In fact, in scientific and engineering circles, the term “delta” is often used interchangeably with the word “change.” The ubiquitous term, “Delta T,” is just one such instance of this general inclination. In this instance, “delta” refers to the change while the letter “T” stand for temperature. As such, the phrase “Delta T” simply defines the change in temperature over a certain, defined period of time. If this all seems like “Greek to you,” don’t worry, there are plenty of other people in the same boat. Just remember that when it comes to heating systems, delta T is simply the difference between the current temperature and desired one. 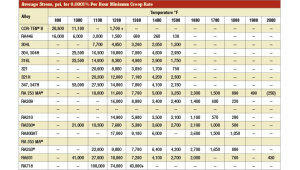 For more information on custom heating systems, visit us at www.heatrex.com. 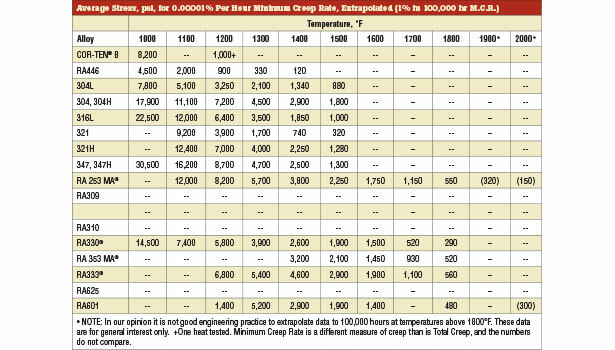 Temperature limit is the first factor when choosing a heat-resistant alloy for a certain application. However, there are many more factors to consider for your application to succeed and to keep employees safe. 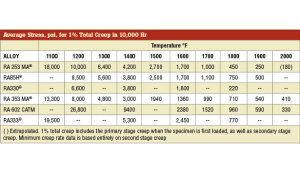 An article from Industrialheating.com by Marc Glasser will give some good insight on heat-resistant alloy. 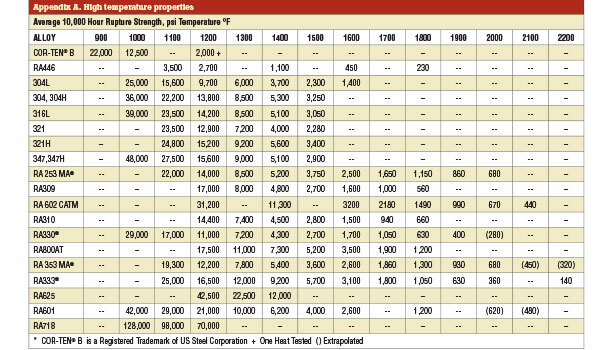 The first and foremost variable to consider is the oxidation limit of a particular alloy. 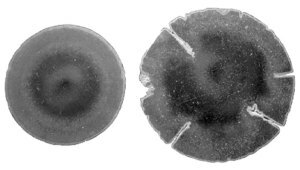 A continuous layer of chromium oxide on the surface of austenitic alloys is responsible for promoting oxidation resistance. Silicon and aluminum, at high enough levels in an alloy, will allow the formation of subscales of silica or alumina, which will further enhance oxidation resistance. Finally, the addition of rare-earth and other heavy metals will add another level of oxidation resistance by adding an oxide that will bond to the other oxides to create a tighter, thinner, more adherent oxide that is harder to break. A thinner oxide scale is less prone to crack and spall than a thicker oxide. 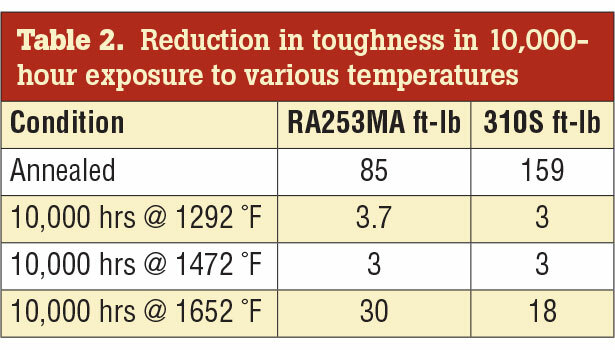 In the heat-treating world, materials of construction can be exposed to other atmospheres, including carburizing, nitriding (and combinations of these two), vacuum, hydrogen, inert gas and more. In vacuum, and to a large extent inert-gas atmosphere, oxidation resistance is less important because the purpose of these atmospheres is to create an oxygen-free atmosphere. 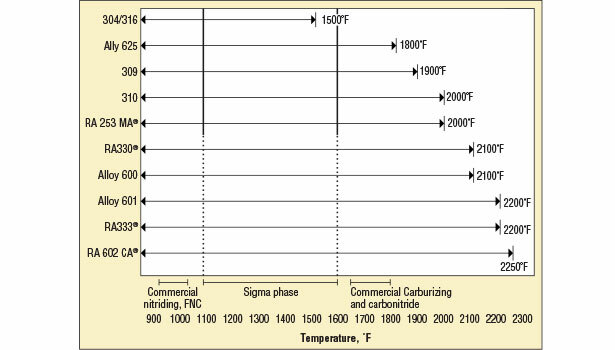 It should also be understood that products of combustion contain both carbon and nitrogen at high temperatures, which can lead to nitriding and carburizing. 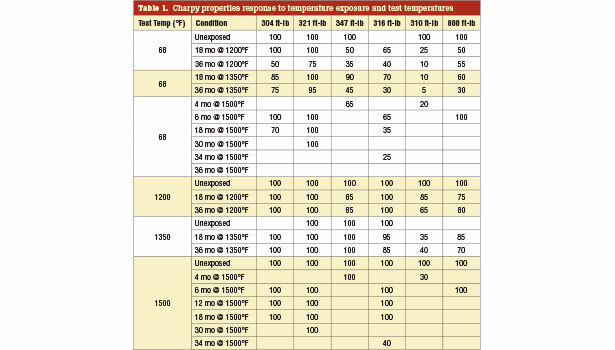 In commercial heat treating, carburizing and carbonitriding are generally performed in the temperature range of 1600-1750°F (871-954°C), while nitriding and ferritic nitrocarburizing are generally performed at 985-1050°F (530-565°C). Tensile strength can no longer be used as a design parameter above 1000°F (538°C). 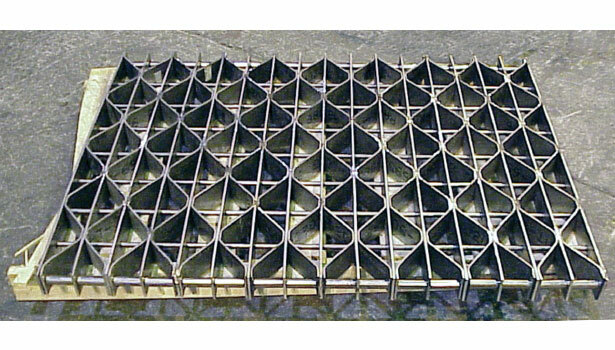 Instead, two very important factors in deciding on a heat-resistant alloy are the ability of the alloy to resist sagging and breakage with an applied load at temperature. 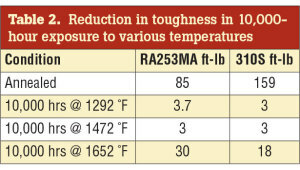 These two parameters are known as high temperature creep and rupture resistance, respectively. 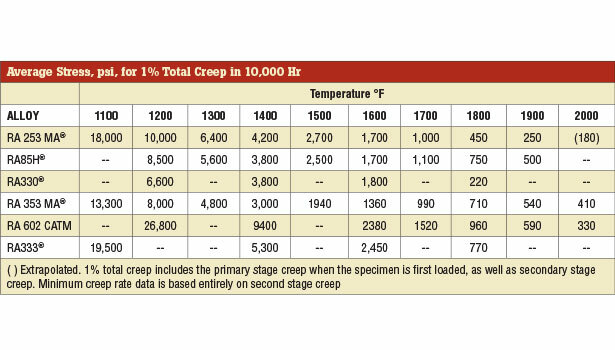 Simply stated, creep is the phenomenon of metal stretching from its own weight or from an applied load at an elevated temperature. 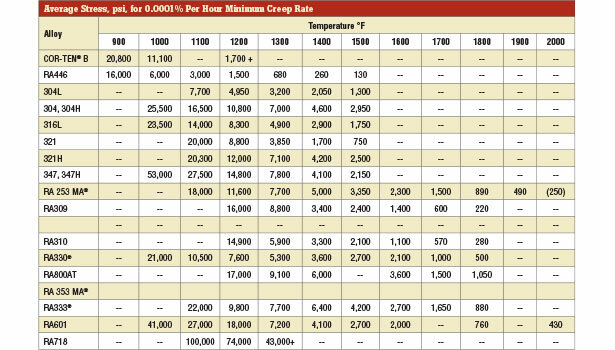 High-chromium, low-nickel materials (stainless steels) change from ductile to brittle after anywhere from a few hundred to several thousand hours of service in the 1100-1600°F (593-871°C) range. This is due to the precipitation of a hard, brittle inter-metallic phase known as sigma phase. 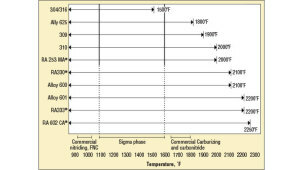 While sigma phase may not be harmful when the material is at temperature, it can completely embrittle the alloy at room temperature. 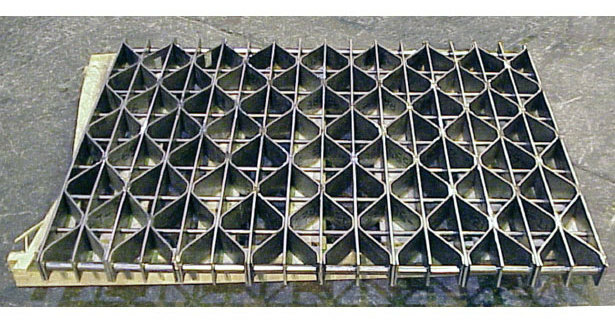 Thermal fatigue as it relates to heat-resistant alloys is cracking that occurs after repeated heating and cooling (quenching) of an alloy. 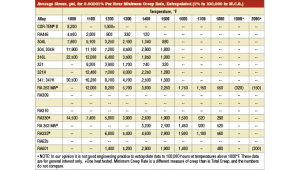 Heat-resistant alloys have high coefficients of thermal expansion and low thermal conductivity. 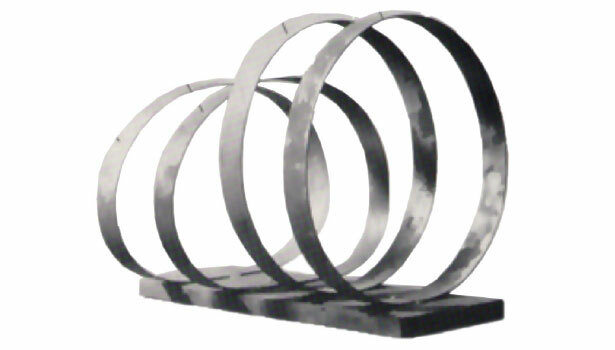 Simply stated, the metal surface heats and cools before the center does. 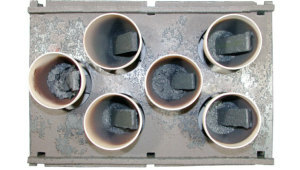 During heating, the surface is expanding quicker than the center, which places strain on the center. Then during quenching, the surface is contracting faster than the center, placing more strain on the surface. If you like to speak with a Heatrex rep today about heating system perfect for your application visit us now! 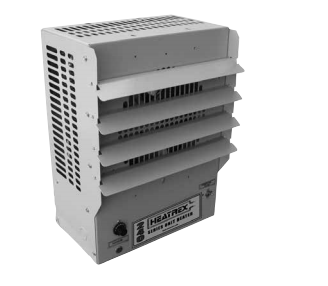 The 240 Series unit heater is available in 50 standard models with ratings up to 50 KW and voltages of 208, 240, 277, and 480 single or three-phase. They are available with a wide variety of factory built-in or field-installed options. Temperature Control: Single-stage or two-stage control with built-in or remote-mounted thermostats are available on all heaters. Control Options: Available as factory built-in or fieldinstalled to meet job specifications. Custom KW’s: Custom KW’s are available up to 50 KW. Discharge Direction: Heater can be mounted for horizontal or vertical discharge using an optional universal wall/ ceiling mounting bracket or with field-furnished threaded rods for ceiling mounting. Color Options: The standard color is camel. Six optional colors are available: grey, yellow, red, white, blue or textured beige. Heaters may also be supplied with unpainted corrosion resistant galvanized steel. Heating Elements – Industrial grade, 0.475” diameter steel sheath with brazed copper plated steel fins and epoxy sealed ends. Draw-thru airflow design pulls air across the heating elements to ensure cool element operation and even air distribution resulting in long element life. Housing – Heating elements and motor are enclosed in a heavy gage galvanized steel cabinet with a durable polyester powder coat finish. Outlet Grille – Individually adjustable louvers are provided to direct airflow. A protective outlet fan guard is provided to prevent insertion of foreign objects. Fan Motor – Permanently lubricated and thermally protected motor. Built-in Controls – All units include an automatic reset thermal cutout that will de-energize the heater if an over-temperature condition occurs. A manual Standard Construction Features reset thermal cutout, in addition to an automatic reset thermal cutout, is standard on heaters 10 KW and above. A fan relay is provided to allow the elements to heat up before fan startup and purges the heater of residual heat after shutdown. A 24-volt transformer and disconnecting contactor are provided on most heaters. Single-phase heaters rated at 5 KW or less have line voltage controls; 24-volt control and contactor are available. Power fusing is standard on all heaters rated over 48 amps. 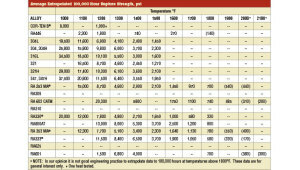 Mounting – Universal horizontal or vertical discharge. 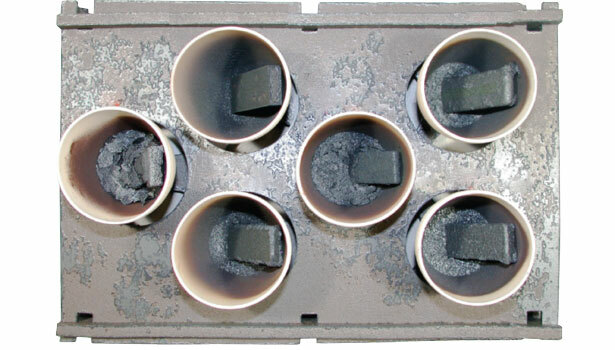 Optional diffusers are available for vertical discharge. 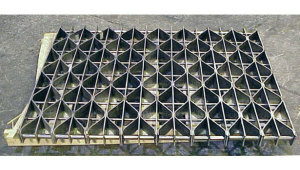 An Anemostat diffuser can be used to provide draft free air movement at lower mounting heights. For higher mounting heights, radial diffuser with adjustable fins can be used to increase floor coverage or adjusted for a vertical down blast of air. 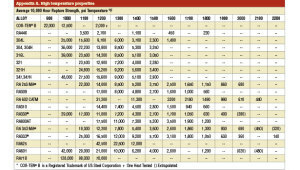 To view the different kinds of options, charts, and tables click here.